During spring and summertime, the Boboli gardens is one of the places that must absolutely be visited. Located across the Arno river, in the less turistic and more “real” part of Florence, these gardens extend directly behind the Pitti Palace. 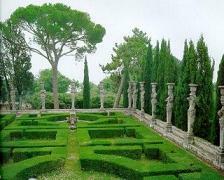 They were laid out for Eleonora di Toledo (the wife of Cosimo I dé Medici) one year after the Medici Family purchased the palace; with their perfect shapes and simmetry, the Boboli gardens represent the perfect example of the Renaissance garden. An elaborate irrigation system brings water from the arno river to the gardens (which lack a natural source of water); whithin the many sculptures and artworks which you will be pleased to admire walking around, you can find an amphitheater, an egyptian obelisque (brought from the Villa Medici in Rome), the Fountain of Neptune, with the sculpture of Neptune by Stoldo Lorenzi. 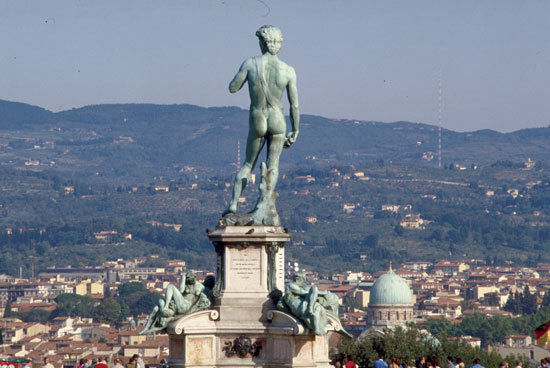 The Boboli gardens can be included in the program of our guided visits of Florence or in the art history course offered by the Institute Galilei. Easy to cook, lovely to eat! A simple recipe, perfect for summertime. Place sliced bread under the broiler, in the toaster or best yet over a charcoal grill and toast. Rub toast with a clove of garlic or not, depending on taste. Spoon chopped tomato onto bread. Scatter some basil. Alternatively, place the tomatoes, basil, garlic (chopped fine), olive oil and salt in a bowl and mix. Set bowl at table alongside the toasted bread and simply spoon on mixture. 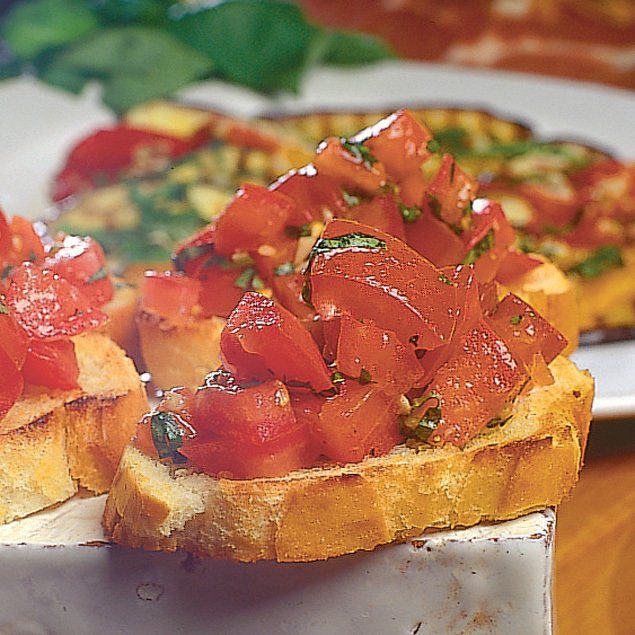 Some prefer to use sliced rather than chopped tomato. Whatever way you serve it, it is delicious. From the 14th ot the 18th century, the Medici represented one of the more influential families in Florence. Among its members, we can find three popes (Leo X, Clement VII, Leo XI), numerous rulers of Florence (Lorenzo the Magnificent is the most known of them), and many famous women too, like Caterina de Medici (queen of France). Their health and influence started from the textile trade, guided by the guild of the Arte della Lana. Then, the Medici were able to bring the whole city of Florence under their power, allowing art and humanism to flourish. They have been fundamental for the birth of the Renaissance art, along with the other italian signore families, like the Sforza from Milan and the Este from Ferrara. Their bank was one of the most prosperous and respected; some estimates says that the Medici family was the wealthiest in Europe for a period of time. In fact, their power expanded in the whole continent. We can find traces of their influence in every corner of Florence, in the art and in the architecture. With the Institute Galileli’s History of Florence course every secret and every anecdote of some of the most important members of the family will be revealed. 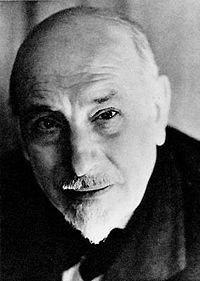 Luigi Pirandello was an Italian dramatist, novelist and short story writer awarded of the Nobel Prize in 1934. Born in an upper-class family in the curious village of Kaos (Chaos) in Sicily, he begun his career as a narrator. After meeting Luigi Capuana, o theorician of the literature current called Verismo, he started writing novels on the veristic model, which were published in a volume called Novelle per un anno. Among his novels, the most importat is of course The late Mattia Pascal (Il fu Mattia Pascal, in Italian), written in 1904. The story tells the life of a business man, who after winning a lot of money in a casinò, goes far from his wife and family and is believed dead. His fortune becomes tragedy when, after losing all his money and documents, he wants to have his old life back: in fact his wife, believing he was dead, has now another husband and not having any document the authorities tell to Mattia that he doesn’t exist. To whom asks him who actually he is, he can’t answer nothing but “I’m the late Mattia Pascal”. The message of this masterpiece strongly shows Pirandello’s philosophy: nothing is sure in our lives, the reality is not absolute but relative, and so is the man, who should not think to have just one personality. Enzo Ferrari defined the Mille Miglia “the world’s greatest road race” and, 82 years after its origin, this race still is a world-known event. Mille Miglia is a suggestive parade of pre-1957 cars that cover 1000 miles in few days. This event tells something about adventure, history and discovery. Vintage car lovers should take a look at the Mille Miglia race, which starts out from Brescia on May 14th, passes through Ferrara and reaches Rome before returning to Brescia on another route via Siena, Monteriggioni and Florence. You don’t have to go far to watch it, as these ancient cars will be passing through Piazza della Signoria and Piazza San Marco in Florence on May 16th, on their way back to Brescia. 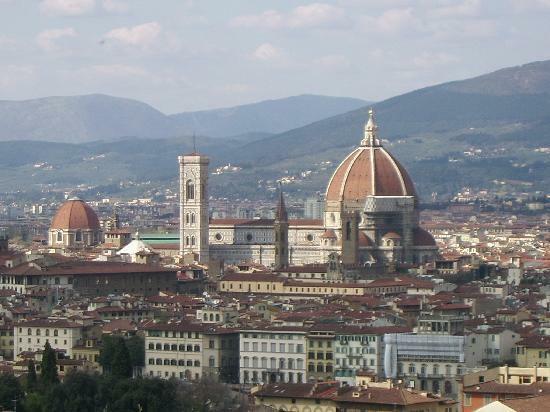 Discover Florence and its tradition with the Institute Galilei’s History of Florence courses! This risotto is perfect each spring as the new vegetables arrive in the store. You can vary the recipe as you choose by adding other spring vegetables from time to time as well. Just keep all vegetables cut into bite sized pieces. Heat the 4 tablespoons of butter in a heavy saucepan. Add the onions and cook until translucent. Add the artichoke slices and cook one minute. Next add the garlic and cook another minute. Add the rice and stir until it is well coated with the butter. Begin to add the wine, and stir continually over medium heat until it is absorbed. Start to add 1/2 cup of hot broth, stirring as it is absorbed. Continue in this manner, adding ladles full of hot broth, and stirring continuously. About 10 minutes into the cooking time, add the asparagus, fava beans and zucchini and continue cooking for about 15-20 minutes or until the rice is cooked, but remains slightly firm to the teeth. Remove from the heat, add the remaining butter. parsley and the parmesan cheese. Serve, offering additional cheese if desired. Find out how to cook many kinds of risotto and other recipe with the Institute Galilei’s cooking courses! Born in Alessandria d’Egitto from an italian family, he formed himself in France where he could get in contact with the french avant-garde literature; he moved to Italy to participate at the first world war, and decided to stay in the beautiful country just until his death. He devoted his life to the art of writing: he was poet, journalist, essayist, critic and academic, known all over the world as the major reprensentant of the experimental poetry current called ermetismo. The war, the death of his 9-year old son and many other sad events confirmed his character as a “man of poetry and hurt”, who saw his dreams and his hopes flying away – without stopping to fight for them. The espression of his hurt and pain is one of the main features of his short and deep compositions. Reading is your passion? Would you like to study the main characteristcs of the Italian literature? We offer language specialization courses at Institute Galilei, in which you can decide to focus your study on literature or on the aspects of language that you prefer. Located in the Oltrarno, the part of the town across the river, this square is known all over the world for the magnificent view of the city landscape it offers – which is in fact reproduced in many postcards. Designed by Giuseppe Poggioni, the square was buit in 1869, during the urban renewal of the town. Florence was the capital of Italy and during that period, the middle class strongly wanted to show its strong rebirth; there were created lungarni; on the right bank, instead of the fourteenth-century walls were open the avenues of the ring of a boulevard, on the left bank was traced, wind on the hill of San Miniato, the Viale dei Colli, a street tree overview 8 kilometers long, at whose climax the square was built as a terrace with a panoramic view inside the city. The Michelangelo square, dedicated to the great Renaissance artist Michelangelo, has copies of some of his famous works in Florence: the David and the four allegories of the Medici Chapel of San Lorenzo. These copies are made of bronze, while the originals are all in white marble. The monument was brought up by nine pairs of oxen on 25 June 1873. Poggi designed the loggia in the neoclassical style that dominates the whole terrace, which today houses a panoramic restaurant. Originally it was supposed to house a museum of works by Michelangelo, ever. The view shows the heart of Florence from Forte Belvedere to Santa Croce lungarni through the bridges of Florence and in sequence, especially the Ponte Vecchio, are the Duomo, Palazzo Vecchio, the Bargello and the octagonal bell tower of the Badia Fiorentina, without forgetting opposed to the hills north of the city with the center and Settignano Fiesole. The square can be accessed by car along the tree-Viale Michelangelo, made in those same years, or walk the stairs going up the ramps of the monumental Piazza Poggi Poggi in the district of San Niccolò. Discover Florence with a real art history teacher, following the Institute Galilei’s art history course! For sure, the most famous dessert coming from Italy, known all over the worls for its delicious coffee flavour. An easy-to-cook recipe is explained in Italy-yum. Here you are the recipe, as explained in the website! Apparently its origin dates back to the 17th century; it was created for the occasion of a visit by Grand Duke Cosimo de’ Medici III to the city of Siena (Tuscany). That time the dessert was named “zuppa del duca” (the “Duke’s soup”) but nowadays everybody knows it as “tiramisù” (pick me up). There are lots of version of tiramisù, but here is explained the most traditional, with a little change: the classic recipe requires the use of “savoiardi” biscuits, however, in the last two decades, many Italians has discovered that the use of “pavesini” biscuits gives the tiramisù a better finish, so let’s go for it! Click on the title to read all the recipe and see the images! Apparently its origin dates back to the 17th century; it was created for the occasion of a visit by Grand Duke Cosimo de’ Medici III to the city of Siena (Tuscany). That time the dessert was named “zuppa del duca” (the “Duke’s soup”) but nowadays everybody knows it as “tiramisù” (pick me up). There are lots of version of tiramisù, but here is explained the most traditional, with a little change: the classic recipe requires the use of “savoiardi” biscuits, however, in the last two decades, many Italians has discovered that the use of “pavesini” biscuits gives the tiramisù a better finish, so let’s go for it! Note: this is a dessert containing raw eggs, so be sure you buy fresh, top quality eggs. Start beating the egg yolks with a whisk and gradually add all the sugar. Keep beating until the mixture become pale yellow and thick. Next, empty the mascarpone into a bowl and, with a wooden spoon, work it for few seconds so that it is a bit loose. Now, add the mascarpone to the egg-sugar cream and blend all together. The result should be a pale yellow mascarpone-egg-sugar cream. Set it aside, putting it in the fridge, while carrying out the next stage. Next, add a tiny pinch of salt into the bowl containing the egg whites. Whisk the egg whites until completely white and firm (into peaks). Now, add the white fluffy mixture into the bowl containing the mascarpone-egg-sugar cream. Finally, we have the tiramisù cream. Now we are ready for assembling our tiramisù. First, spread a thin layer of tiramisù cream in the bottom of the dish (I used a 30 cm x 22 cm rectangular oven dish). For the first layer of biscuits, dip them in the coffee first (dip the biscuits, one at a time, for about 5 seconds). Lay the biscuits side by side, leaving a tiny space between them. Having completed the first layer of biscuits, cover it with the tiramisù cream. Then, start again with a second layer of biscuits. This time dip the biscuits in the Marsala wine. Cover it with the tiramisù cream. Finally, proceed with the third layer of biscuits. For this final layer, dip the biscuits in the coffee. Once done, cover it with the last spread of tiramisù cream. Sprinkle with dark chocolate shavings. Put the tiramisù in the fridge and leave it for about 4 hours. However, the longer the better because all the flavours blend together (I usually wait for 6-8 hours). Learning to cook has never been so easy as with the Institute Galilei’s cooking courses: professional kitchen, professional chefs, guaranteed results!